Think Quality Color Video Entry Systems are to Pricey? Think Again! Whether you have a single unit, small tenant building a or a multi-floor building, this system will meet your needs. Your selections below will be dependent on the number of units/tenant spaces required and cable being used. Notice the differences between the BEC Building Video Intercom and the BEC Villa Video Intercom. 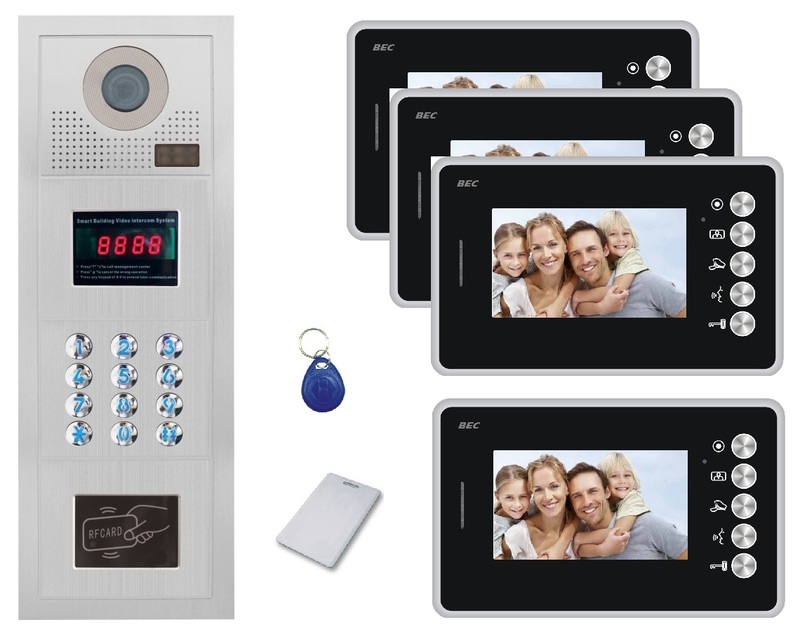 The BEC Building Video Intercom is a very attractive cost effective solution for any building, apartment or condominium. This system supports 1 to 300 tenant spaces or units. When using this system, you must install CAT 5e cable. Information Request - Please let us know if you need product information and pricing on the CAT5 Cabled Building Video Intercom or the 4 Wire VILLA Video Intercom. Also, how many entry doors and interior video displays will be needed? 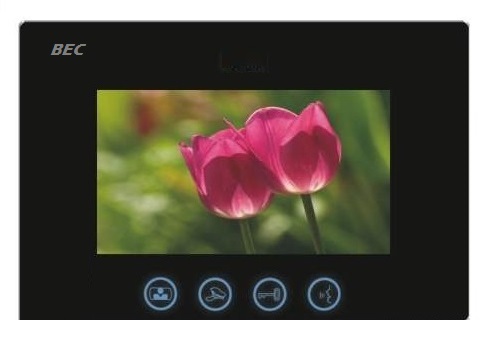 BEC Audio offers M&S Model VMC1 Video Security Intercom Music Master is a full-function video intercom system designed with security in mind. Supporting up to 20 stations, including 3 maximum video door stations it is ideal for medium to large residences and small commercial applications. The VMC1 integrates point-to-point intercom functions with live feed video and home automation controls that provide exceptional communication and entry way security. Entry stations for a single door or multiple entrances provide security for residential or commercial tenants. Optional panic switches and pull cords can be integrated into the Video Entry Intercom System to alert staff of an emergency with a resident. VIS300-7M2 Hands Free 2-Wire Color Video Intercom System 7"